Kids and their families had a blast at the Healthy Family Fun Fair! 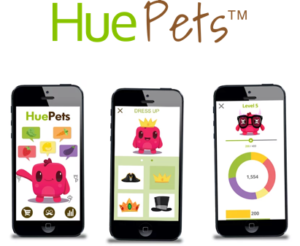 On Monday, HuePets™ was at the Healthy Fun Fair at the Gail Borden Public Library in Elgin, IL. 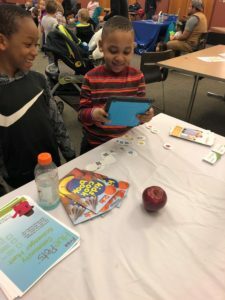 We had a blast educating children and their families about our latest innovative platform that encourages children to consume a wide variety of colorful fruits and vegetables. Gavin took over the booth and was showing other kids how its done! Thank you to everyone who came by our booth and tried out our app!